AllThingsDigitalMarketing Blog: Happy Valentines Day America! What's in your heart this Valentine's Day? Happy Valentines Day America! What's in your heart this Valentine's Day? This is a repost from earlier Valentines Day posts. 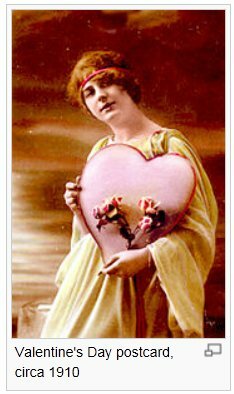 Saint Valentine's Day, commonly known as Valentine's Day, or the Feast of Saint Valentine, is observed on February 14 each year. It is celebrated in many countries around the world, although it remains a working day in most countries. 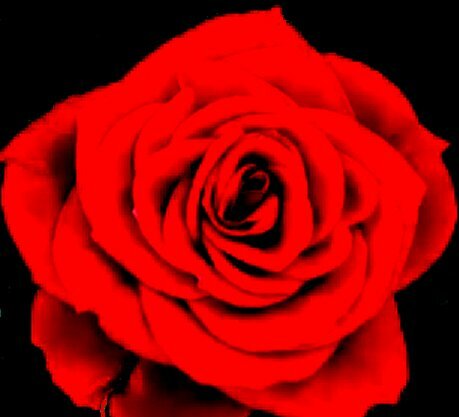 The first recorded association of Valentine's Day with romantic love was 632 years ago in Parliament of Foules (1382) by Geoffrey Chaucer. 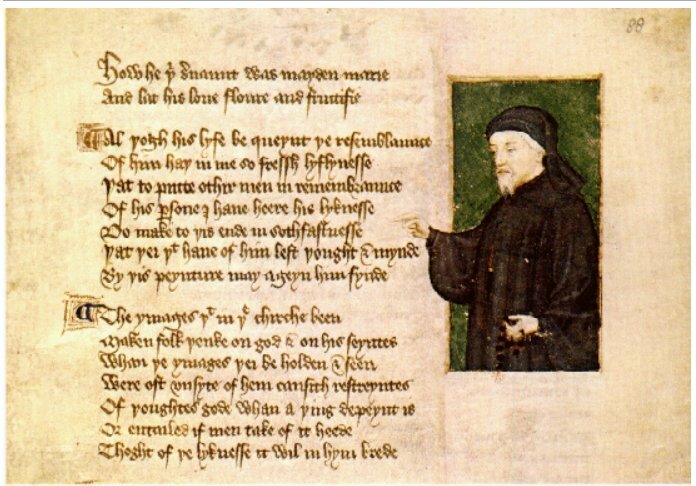 This poem by Chaucer was written to honor the first anniversary of the engagement of King Richard II of England to Anne of Bohemia. A treaty providing for a marriage was signed on May 2, 1381. (When they were married eight months later, they were each only 15 years old).Have you marked your calendars for giving back this month? February is the month of love and of "giving back," be it supporting a cause or simply going the extra mile for someone. The energi PR firm in Canada is dedicating Valentine's Day to "Acts of Love & Kindness" and closing the office on Friday, February 14th to continue it's strong message of corporate social responsibility. ACTS of LOVE & KINDNESS performed by energi PR on Friday, February 14, 2014 can be followed online on Facebook and Twitter using the hashtag #energiPRALK. ALK (Acts of Love & Kindness) was conceived in 1994 by Patrice Tanaka, chief counselor and creative strategist at PadillaCRT and was later adopted by more than 50 public relations firms in the US through the Public Relations Society of America. energi PR approached Tanaka and sought her blessing to bring ALK up to Canada as part of its corporate social responsibility program. The most popular martyrology associated with Saint Valentine was that he was imprisoned for performing weddings for soldiers who were forbidden to marry and for ministering to Christians, who were persecuted under the Roman Empire; during his imprisonment, he is said to have healed the daughter of his jailer Asterius. Legend states that before his execution he wrote "from your Valentine" as a farewell to her. Today, Saint Valentine's Day is an official feast day in the Anglican Communion, as well as in the Lutheran Church. The Eastern Orthodox Church also celebrates Saint Valentine's Day, however on July 6th in honor of Roman presbyter Saint Valentine, and July 30th, in honor of Hieromartyr Valentine, the Bishop of Interamna. Numerous early Christian martyrs were named Valentine. The Valentines honored on February 14 are Valentine of Rome (Valentinus presb. m. Romae) and Valentine of Terni (Valentinus ep. Interamnensis m. Romae). Valentine of Rome was a priest in Rome who was martyred about AD 269 and was buried on the Via Flaminia. The flower crowned skull. 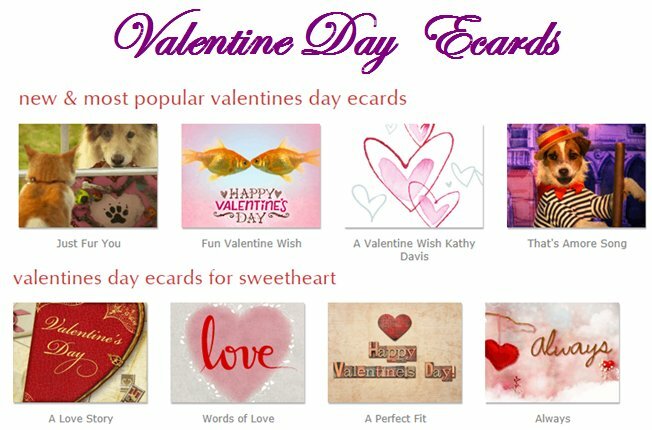 According to the U.S. Greeting Card Association approximately 190 million valentines are sent each year in the US. Half of those valentines are given to family members other than husband or wife, usually to children. When you include the valentine-exchange cards made in school activities the figure goes up to 1 billion, and teachers become the people receiving the most valentines. Also, many send Valentines Day chocolates and other candies. New traditions have evolved with the internet. Millions of people today use digital (e.g., eCards, eCoupons, etc.) to send Valentine's Day greeting messages. An estimated 15 million e-valentines were sent in 2010. 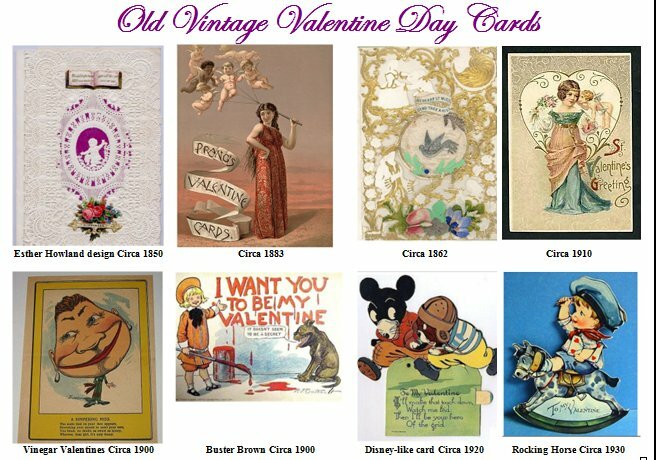 Below are two sets of Valentines Day card collages, to view detail, zoom in 150% to 200%. Do you plan on volunteering this month and on Valentines Day? Are you participating in any social responsibility initiatives for the month of February? Please share in the comments section and do include links to any of your Valentines Day giving back themed campaigns.